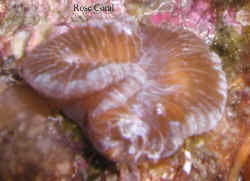 Coral Id...Perhaps Family Faviidae 7/16/07 Crew, <Greetings! 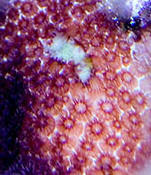 Mich is your crewmember today!> Could you please help identify this coral (please see attached photo)? 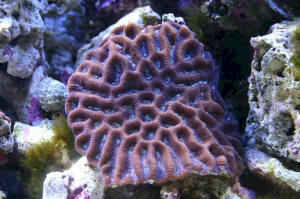 <I see.> The LFS thought it might be a flowerpot coral but from what I've been able to see of flowerpot corals, they seem to extend much further and have larger polyps then this does. <I am in agreement with you. 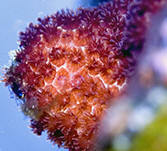 I do not think this is a flowerpot coral (Goniopora spp.). 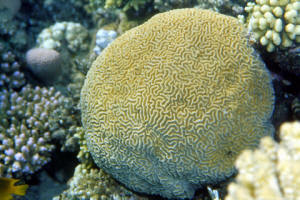 It can be difficult and sometimes it is impossible to identify some coral species without examining the coral skeleton. This may be the case here. 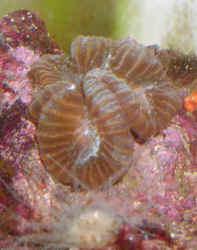 I suspect this may be part of the Family Faviidae. 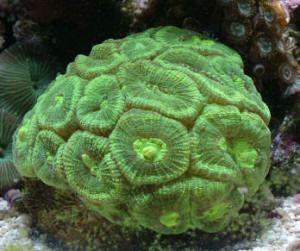 It could be an Echinopora. 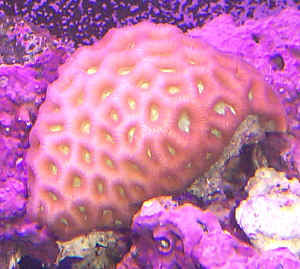 The growth forms of Echinopora are highly variable and may assume may shapes. 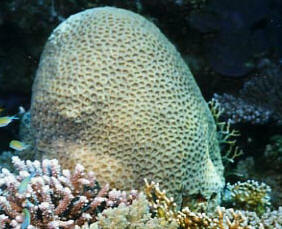 It could also be a Montastrea which are generally dome-shaped. But it well may be something else. 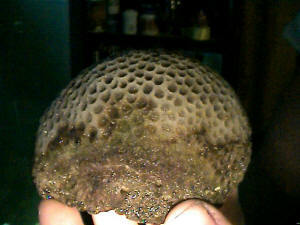 I'm sorry I can't give you a more definite answer.> Thanks for your help <You're welcome!> and love the site. <Glad to hear!